It’s been a long time coming but the 2017 GSX-R1000R is worth the wait. The VVT motor is packed with grunt and the 200bhp top end it needs to battle with the best. 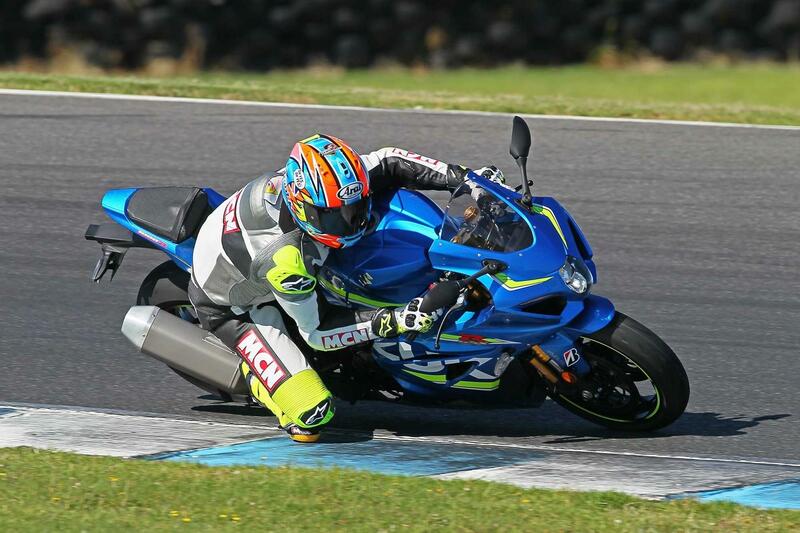 Superb electronics offer another exciting new chapter in the GSX-R1000’s story. It might need a bit of a heave to make high-speed direction changes and the standard tyres aren’t up to hard track work, but the new Suzuki is fast, fun, refined and thanks to its new electronics safer and easier to ride than ever. New Showa ‘Balance Free’ forks and ‘Balance Free Cushion lite’ rear shock (similar to the ZX-10R’s) give a plush ride and lots of feeling for grip. But the standard set-up is road-soft and needs tweaking for the circuit. Low speed agility is superb, but it takes effort to make quick direction changes at speed and hold a line in faster corners. It’s here where the stiffer-set, pointier superbikes, like 1299 Panigale, RSV4 RF and R1 are crisper on track. 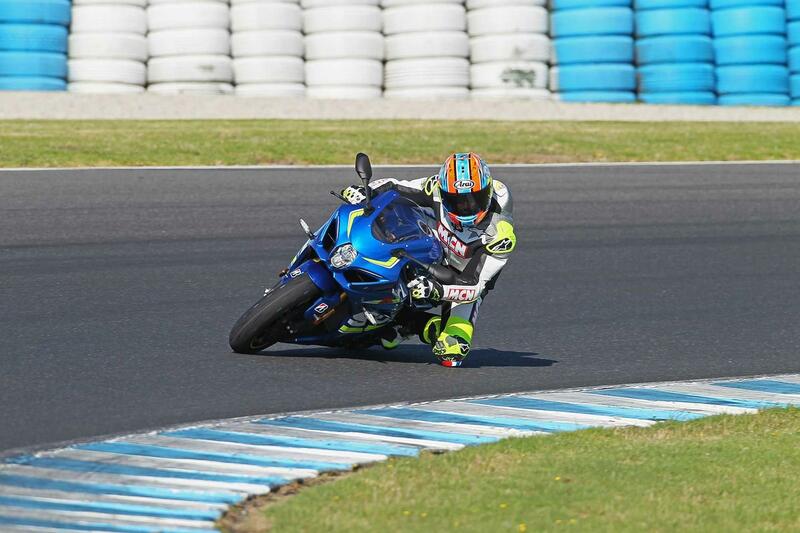 Furthermore, we’ve also ridden the Suzuki GSX-R1000 on Bridgestone S22 tyres. Stab the one-touch starter (and no need to pull the clutch in now) and the over-square 999cc inline four-cylinder motor barks into life. It’s as gloriously raw and angry as ever, snorting and growling through airbox and titanium pipe (let’s not mention the end can). The Suzuki is fast. It’s not just a bit quicker than the trusty old bike, it’s ZX-10R-R1-1299 Panigale quick, as it would be with a claimed 199bhp oozing from its shrunken new engine cases. But more impressively there’s a torrent of power right through the rev range, thanks to Suzuki’s ‘Broad Power System’ which includes new exhaust valves, secondary injectors, dual stage inlet trumpets and of course the eagerly anticipated new Variable Valve Timing. There’s so much grunt you can go a gear higher through corners and still be rapid, which is good news on the road where you surf grunt, away from the upper reaches of the rev range. A new six-speed, close ratio cassette gearbox slices through cogs with blade-like precision and is ably assisted by a super-slick electronic quickshifter and autoblipper system. Suzukis never go bang so you’ll have no problem with reliability. Built quality is decent, but not quite at the level of its rivals. This R model is cheaper than a top spec S1000RR, R1M, Blade SP, RSV4 RF and ZX-10RR, but slightly more than the R1, base Blade, S1000RR and ZX-10R. 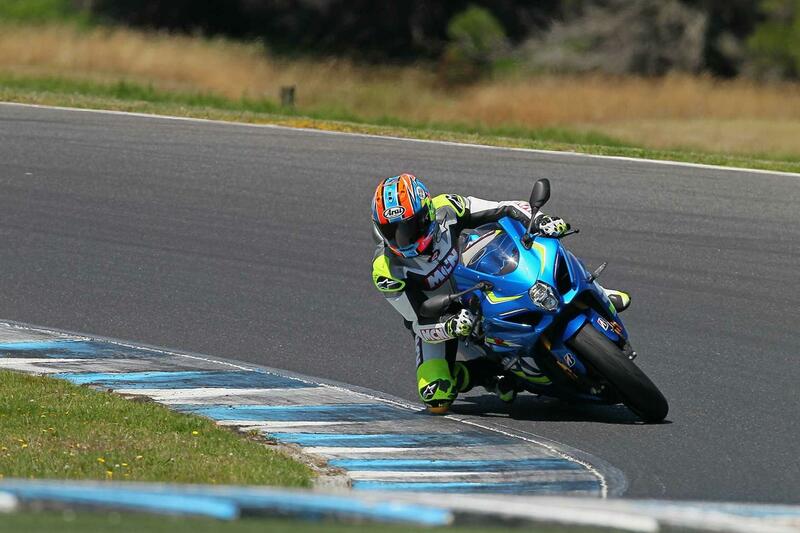 The base model GSX-R1000 is the best value and costs less than all its superbike rivals. 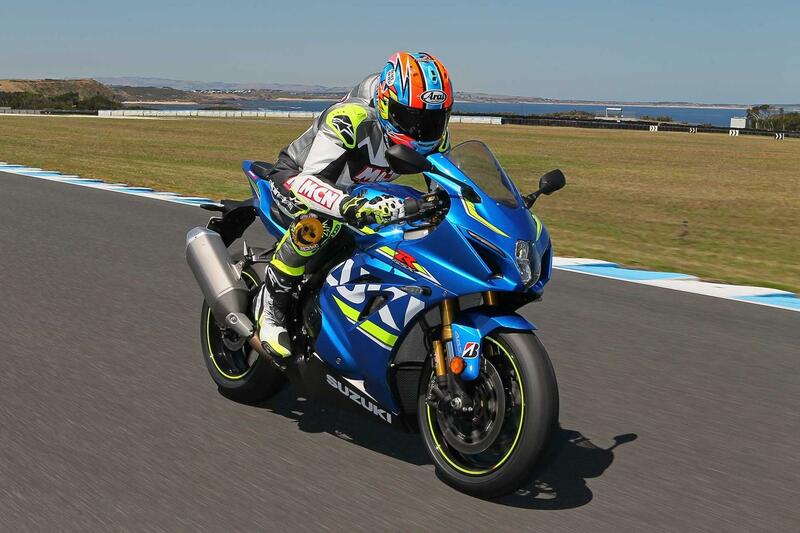 As well as fully-adjustable suspension, a multi-function LCD dash, quickshifter and autoblipper, this is the first GSX-R1000 to come with a full suit of electronic ride aids including ride-by-wire, a choice of three riding modes and anti-stall (rpm is monitored and adjusted when you pull away or ride slowly). Lean-sensitive cornering ABS is a no-brainer for the road, but it intrudes slightly on the track under very heavy braking and can’t be switched off. 2001: GSX-R1000 K1 launched and begins its reign at the top for the next five years. 2003: The K3 was a complete mechanical and cosmetic overhaul with more power, torque and less weight. 2005: The iconic K5 was born and was the lightest, gruntiest GSX-R1000 to date. 2007: The K7 came with a more powerful engine, but less low down oomph. It spouted twin pipes, gained more weight and lost its crown to the new 16 valve R1. 2009: K9 was a complete overhaul and came with a new short-stroke motor, but didn’t feel too different to the previous model. It also had Showa Big Piston Forks, a banana-shaped swingarm, a cable clutch and monobloc four-piston calipers. 2012 – Minor update and facelift. 2017 – All-singing, electronics-packed 199bhp GSX-R1000 hits showrooms…at last. Base model: Lower spec suspension and standard ABS. It does without R’s quickshifter/autoblipper, lightweight top yoke, LED position lights and black-faced dash layout. 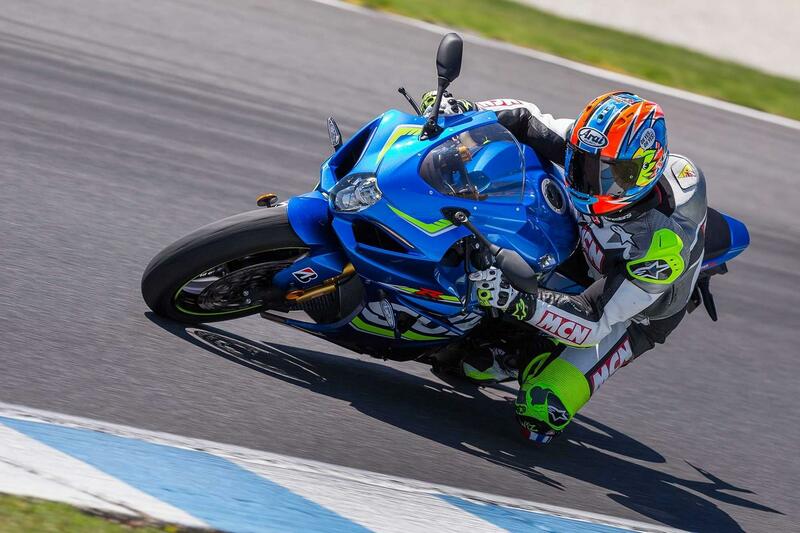 2 owners have reviewed their SUZUKI GSX-R1000R (2017-on) and rated it in a number of areas. Read what they have to say and what they like and dislike about the bike below. Great engine is a peach and the suspension is good for the track and road. Perfect size for small riders. The electrics are good but not compared to the Kawasaki or Aprilia, the results of lowering the traction control go from a misfire effect on 10 to huge wheelies on 4. Not had the brake fade others have had even on track. Pillion comfort is poor it should be on a sports bike. The suspension is easily as good as my 2018 ZX-10R most riders say the same. I find the brakes good never faded even on track if it went for a full day without breaking down who knows. That engine is strong good power everywhere when it's used hard nothing else in standard trim will touch it, I have been told this by others behind me pity I can't do the corners, it's an age thing I think. I use my bike on the road and track it has never made a full track day yet, 2 melted catalytic converters, 1 melted reed valve, 1 fire resulting in a melted wiring loom replaced by Suzuki but not tested so didn't work when replaced problem ongoing, Dashboard goes haywire and turns traction control off on its own and twice accelerated on its own has now had 3 ECM units fitted. Valve stem seals also appear to be weeping oil. 2000 miles at present the 1200 running in were good. Can't comment as yet. First service was very good, hasn't made it to the second one yet other costs are no more than any other. The dash is clear and easy to read, the can is super ugly but easy to change. Nothing makes it stand out but it's a GSXR, normally they just work I just have a bad one. Brought from a dealer a good one too (Redcar) and they were the best, very honest and helpful – can't say the same for Suzuki UK all promises, no substance standard answers nothing in writing definitely cost before safety, riders beware. It's not really fair to comment any more, I hope to amend this part of my review if possible pending the results of an ongoing repair. Fantastic machine, the engine is a masterpiece. Pretty comfortable for a sportbike. Brakes good enough for most road riding but need a little work I.e braided lines, different pads for track work or really fast road riding. All the toys you need, love the quick shifter and auto blooper. Bought from Bolton motorcycles, got a £1000 off so paid £15,099. Highly recommend the shops, the guys in there are really helpful.